Hi guys, today I am pleased to welcome Victoria from As it Seams. 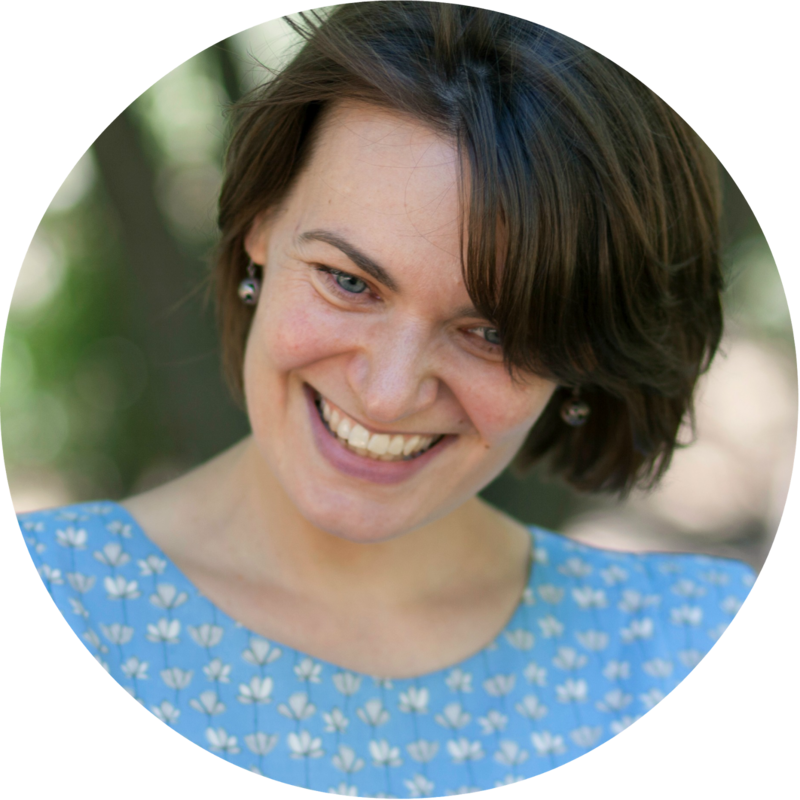 Victoria and I started blogging at about the same time and over the last year we have become good 'bloggy' friends. What I love about Victoria is that she is fearless. Absolutely fearless. She experiments with fabrics, prints, patterns. Just have a look at this little dress and this one here that Victoria made for an improvisational pleating contest! I can only imagine how much fun Victoria had turning the Louisa dress pattern into this gorgeous nostalgic blouse! I love her version of the Tinny dress - perfect for swirling! She can take a wooly jumper, ask herself, 'What if I cut it up", and create this gorgeous tunic for her daughter! I love the outfit Victoria created for the Secret Squirrel challenge. Victoria is currently running an awesome series Take One Dress - you just have to check it out! Your not so humble servant may have participated. OK, definitely participated. I mean, the idea is brilliant! This has to be one of the most bonkers sewing projects I've undertaken in a while, but forgive me, I just couldn't help it. Yep, For Jenya's series, I've gone matchy matchy...and I'm really hoping that this is on the right side of the fine line that is 'wearable'. When Jenya contacted me to take part in her You and Me series, I knew immediately what I would sew. I already had this project in the pipeline. Missy is such a funny companion. She’s full of personality, (almost) always happy, and is not very ‘girly’. She never asks for pink and would rather be a pirate than a princess. I wear dresses to work, to the park, gardening, walking in the woods near our house. Also Missy and I (and my son and Mr As it Seams) spend our summers outdoors, camping and being sociable. Mr As it Seams is a musician and we’re often at summer music festivals - where I love to dress up a bit. And I’ve been thinking about my sewing addiction. It isn’t really about making clothes for Missy. What I really love is transforming wonderful fabric. So how about if I used some of the fabric I love for me, as well as Missy? Could I, almost four decades older than my little girl, wear some Michael Miller print too? When my brother flew back from New York he brought me an extra couple of yards of this Park Landscape print.. (Oh how jealous I am of my American friends where fabrics are half the price). It looks so like the English gardens and countryside where I live. I make no claims of originality with Missy’s dress. This is purely and simply copied from Straight Grain’s birthday Hanami dress. I’ve done this pattern soooo many times, it was an easy sew. The only modification was some purple piping at the waist. In contrast to Missy’s dress, mine was a massive headache...with Challenge # 1 - The Fit. I haven’t sewn for myself since I was a teenager. Doing this I remembered why. 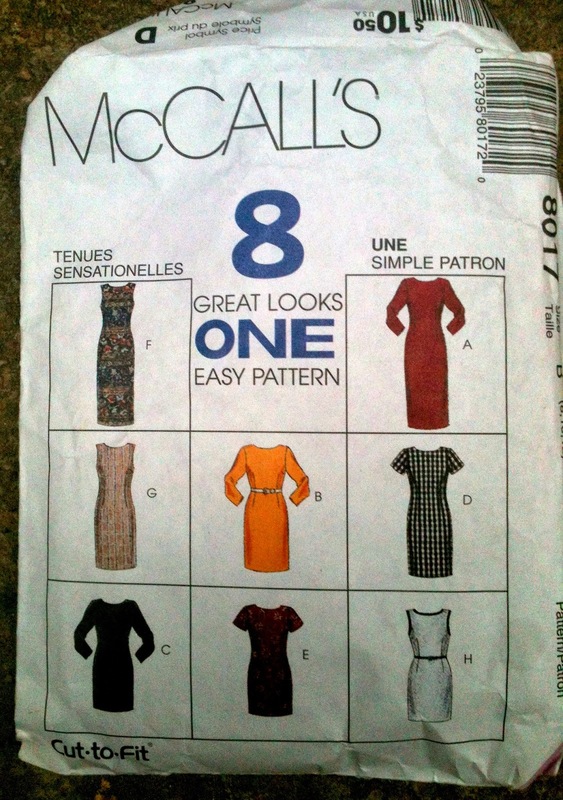 I started modifying this ancient McCalls pattern. Big mistake. I wanted to keep seaming on the bodice to a minimum to avoid messing with the print. But I also wanted a flared skirt. So I added a half circle skirt to this straight up and down shift pattern. 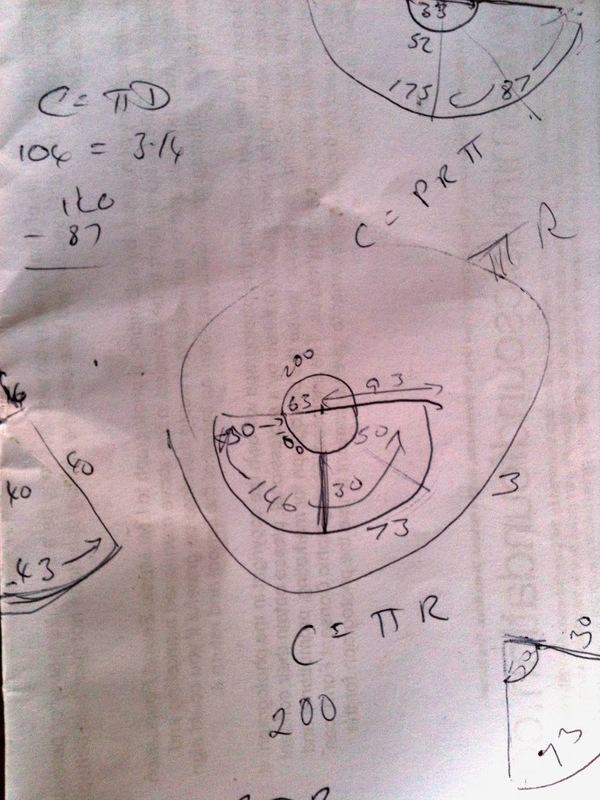 I wish my Maths teachers could see their geometry in action! I ignored the pattern instructions and sewed an invisible zip, Hanami style. I also created a v-back neckline - in hindsight I wish I’d cut this lower. But I’m pleased with the invisible zip - especially Missy’s. Look the pattern matches across her back! The fit on my dress was a nightmare - way too big. I started fiddling with darts and lifted the shoulder seams. I forgot that this would make the arm holes smaller, and the result it puffed sleeves, which I didn’t intend! After this post is published, I’m going to set to work with my seamripper on those sleeves. Then there was Challenge # 2 - The Photo Shoot. For this I had to rely on Mr As it Seams... And find a gap in our summer/camping/working schedule. And face his lack of camera skills and enthusiasm. Originally, I wanted to take pictures in a suitable setting, a park or meadow. Not Possible, for all the reasons above. And I suspect these dresses would 'disappear' in the English landscapes. So it’s back to the old garage door. And when I edited the photos, there were none of Missy looking her best AND me looking half decent. I decided to go with the ones I like of me - there are more than enough in the blogosphere of Missy already. What do you think? Do I look like I’m wearing a curtain? Or is this the right side of funky!? I don't think we'll wear them together often, but Missy of course LOVED it. And for that alone, the seamripping was worth it. Thank you Victoria for sharing with us today. I love the matching mother-daughter look. The way you combine yours and Missy's tastes and likes is so neat. It is nice to be able to see both of you in photos. And of course Missy loves the fact she has a dress just like her mummy's! There have been a couple of small changes to the schedule of the series. Please come back tomorrow to see what Natalie from La gang à Nat created. Are you inspired by all the gorgeousness my wonderful guests have created and the stories behind their creations? It is not too late to join in the fun! Please feel free to add your projects to the You & Me Flickr group. On the 16th of June I will do a round up of your projects here on my blog! These dresses are beautiful! And that fabric is AMAZING! I love it! Definitely on the right side of funky, Victoria. Awesome job with the pattern on the back of Missy's dress!!! This is so cool. I love both your dresses! Thanks Trine.. that means a lot, praise indeed! Yes, Renee, and this fabric is also so like our favourite park right now. I reckon they are also going to be perfect camouflage for Hide and Seek..! How fun! Love the fabric! Amazing fabric! Such sun dresses. I LOVE the matching looks!! I say the dress is on the right side! These are beautiful Victoria!!! Wow - love them..and you are so pretty! !